The Boker Fellow pocket knife with smooth Bog Oak wood scales is a an simple but attractive tool for any pocket. Bog Oak is a deep brown color with an attractive grain structure. 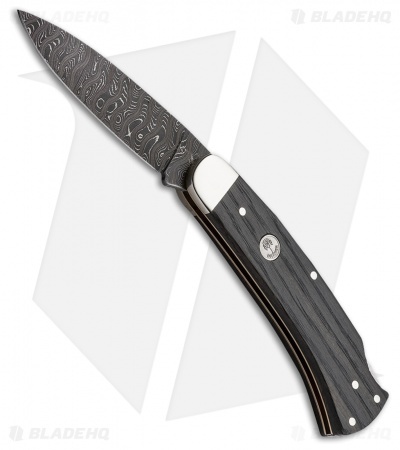 A damascus steel drop point blade provides plenty of cutting ability for a compact knife.